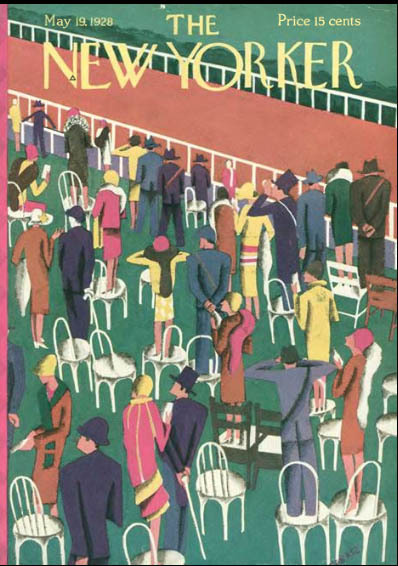 The New Yorker magazine, 19th May 1928, featured a cryptic fashion cable from Parisite. By happy coincidence, too, this cover image has a fittingly race-going theme, all in the best ‘Style Stakes Project’ spirit. One can only speculate as to whether or not Liz Hawes (who, I discovered during my recent archive expeditions, also signed herself as ‘Lisa’) might have harnessed the current-day journalistic possibilities brought about with blogging or tweeting. What I can assert with certainty is that Liz, or Lisa, was a prolific journalist during her day. By the early 1940s, having established herself among the top three American fashion designers of the age, she had become increasingly preoccupied with literary – rather than design – opportunities and interests, contributing fashion reports to a daily leftist newspaper called PM (among others). However, that was not Liz’s first foray into the world of journalism (nor would it be her last). As a young Vassar graduate learning the fashion ropes during her apprenticeship in Paris during 1927 and 1928, she was invited to send cables back to the US on the latest style news from France. This was a time when Paris was considered to lead fashion and, ergo, when American retailers and consumers followed that lead rather than innovated. Fashionable New Yorkers were hungry for details from the epicentre of couture. Choosing the nom-de-plume of ‘Parisite’ in these early years, Liz posted syndicated cables and lengthier letters, many of which appeared in The New Yorker magazine as part of the regular ‘Feminine Fashions’ column in the ‘On and Off the Avenue’ pages edited by (the mysterious) ‘L.L.’. As Parisite, Liz was placed as part of a contemporary trans-Atlantic flow of information, ideas and influence from Paris to New York. The following example, ferreted from the archives by yours truly, is one of Parisite’s short, cryptic, cables, dating from The New Yorker of 19th May, 1928 (p.64) and tantalises with information regarding the millinery of Suzanne Talbot. As I present it here, I can’t help but think that this eighty-five year old telegram strikes a certain ‘tweeterly’ tone and wouldn’t be out of place in the Twittersphere of 2013. Yet again, it appears that Lisa was ahead of her time. And her fashion advice still holds fast, too. Spotty velvet remains a perennial faux pas. 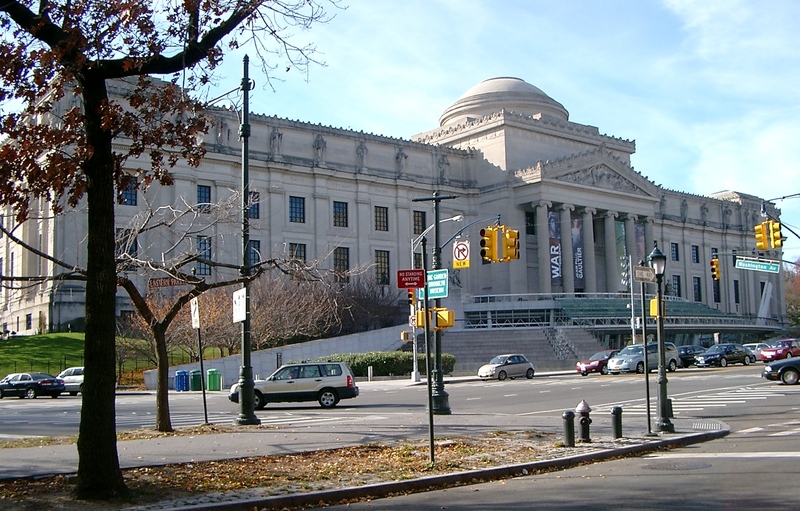 Taking inspiration from the Fun Lovin’ Criminals song title, I have been summoning my inner buccaneer of late with a couple of research visits to Brooklyn Museum (and more planned on my itinerary after the Thanksgiving Holidays). In some ways, the Brooklyn collection is ‘the big one’ in Elizabeth Hawes terms (although it seems crass to compare archive with archive since they all are treasure troves [enough with the pirate metaphor, already!]). Even though I’d done my homework prior to my trip (which involved some hand-wringingly anxious moments negotiating access to the research library at the museum, which is currently in a state of construction and off limits to most visitors), I wasn’t quite prepared for the dizzying volume of Hawes-related holdings that awaited my arrival. I had asked to view the Hawes ‘scrapbook’ collection as a starting point (I haven’t yet set eyes on the Hawes sketchbook collection, also held at Brooklyn, which promises another tsunami of source material). My jaw positively dropped when I was faced with a trolley loaded high with leather-bound ledgers, each approximately A2 in size, and weighing a significant amount also. It was necessary to engage the help of a museum volunteer to load each ledger into a cradle in order to support the fragile pages as I carefully and systematically worked my way through the content. And these ledgers, the original Hawes press books from the 1930s, were crammed with content: ad after ad after ad. It was utterly bewitching and bewildering in equal measure. This was Hawes print advertising numbering in its thousands – all of it brilliant in terms of pitch and pithiness (repro rights debar me from citing any of it here, unfortunately). It was just as well that the content of the press books was mesmerising. Yes, I did gasp (sotto voce since I was in a library) as I turned some of the pages. The actual signed letters to Hawes from Vionnet, Schiaperelli, Patou, Louiseboulanger, Mainbocher and Chanel were a complete surprise that made my standing at a book cradle solidly for over five hours wholly rewarding. What did I learn from my visits? One of the lessons was that, along with the buckling of swash, archive work also requires a good helping of old fashioned stamina. Quite by chance, my activities last week were tinged with a ‘museum practice’ theme. I had the pleasure of attending one of the ‘Conservation Conversations’, part of the Cultures of Conservation initiative funded by the Mellon Foundation at the BGC. 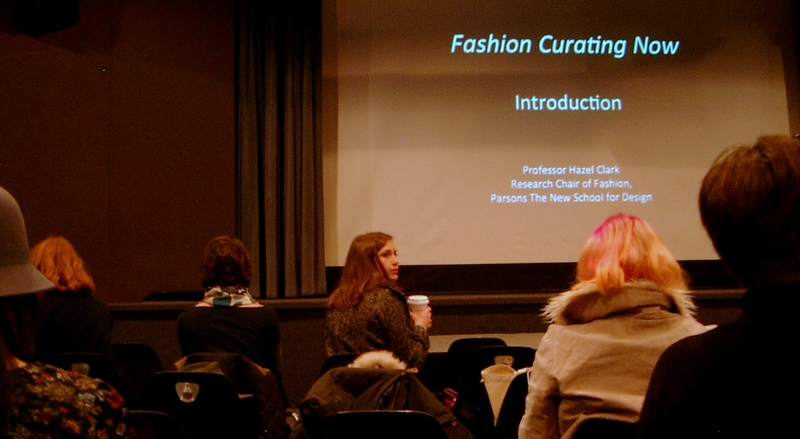 And I also made it along to the ‘Fashion Curating Now’ symposium hosted at Parsons The New School for Design in collaboration with the Finnish Ministry of Education and Culture. At the BGC event, Giorgio Riello, Professor of Global History and Culture at Warwick University, was in conversation with Sarah Scaturro, Conservator at the Costume Institute at the Metropolitan Museum of Art. This dialogue between the museum and the academy was both entertaining and stimulating. I learned a great deal, including: the fact that trainers (sneakers in US-English) are made of materials that self-ingest over time; that there is a significant and important difference between the work of conservators and restorers, and that the conservator’s work is pained (due to tough decisions about what is ethically ‘right’ for an object in the custodianship of a public museum archive) and painstaking (the story of replacing lace on a Worth gown was exacting). The Parsons event, a couple of days later, was equally thought-provoking and boasted a stellar cast of speakers: Annamari Vanska from the University of Stockholm on the curatorial process involved in ‘Boutique’, a collaborative project between artists and designers; Nathalie Khan from Central St Martins; Judith Clark at London College of Fashion; Koat Debo, curator at MoMu, Antwerp; Shelley Fox (Donna Karan Professor of Fashion at Parsons), and also Alexandra Palmer, Senior Curator at the Royal Ontario Museum. I was interested to hear from everyone but, having had Alex Palmer edit some of my writing in the journal Fashion Theory many moons ago, I was looking forward to her presentation particularly (and to putting a face to the thoroughly constructive edits!) Palmer gave a lively summary of her work over the course of one fiscal year at the Royal Ontario Museum, proving the point that a curator’s life is diverse, skilled and (she confided) sometimes tedious (using the example of rolling a textile for secure storage to illustrate the case in point). She enthralled us, too, by detailing the physical demands of curatorial work, showing us some of the out-of-shot body contortions required when photographing artefacts at ‘museum quality’. In 1998, if I remember correctly, Valerie Steele (who just happens to be editor-in-chief of the journal, Fashion Theory) made the claim that a ‘museum of fashion is more than a clothes bag’. 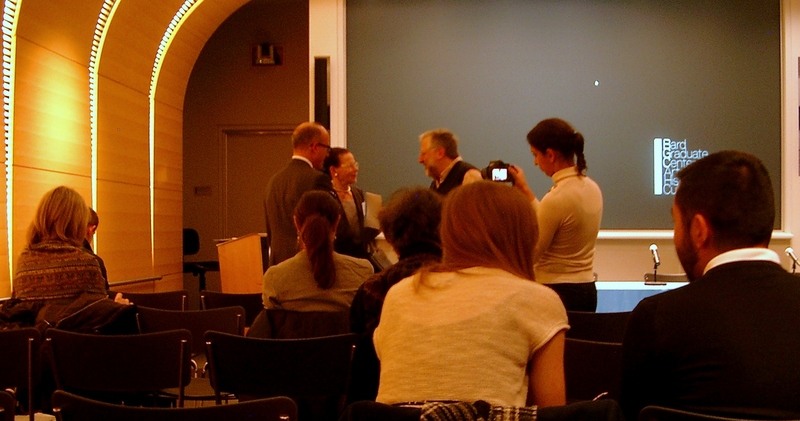 The Parsons symposium did much to prove that point: what a vital, lively, dynamic bunch. In the concentrated environs of a defined project or specialised archive, it’s sometimes surprising how the humdrum can take on a profound significance. 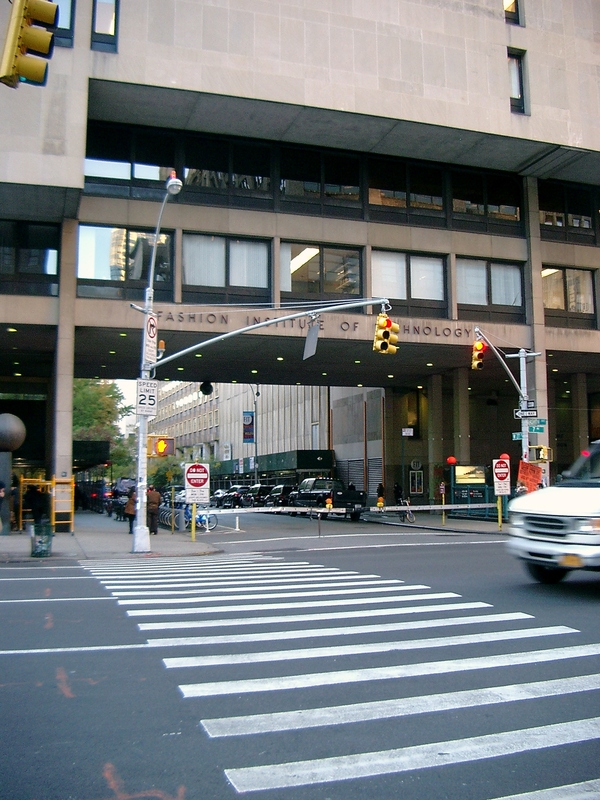 Yesterday afternoon, I made a much-anticipated research trip to the Special Collections at the renowned Fashion Institute of Technology (FIT)*: the first of several planned visits. The planning process looms large for the archive researcher. I had searched the online catalogue of holdings at FIT months before my arrival in order to identify relevant sources around which to ‘hang’ my Fellowship. A flurry of email correspondence with a number of archivists and assistants at FIT then followed: access to archives is not a ‘given’ but a privilege granted. As with any high profile collection, requests from visiting scholars are a dime a dozen (to use the vernacular). It is necessary, then, to make a strong case for a visit and to be very specific about the exact items to be consulted during it. If nothing else, most collections are open to researchers for short periods only and all parties need to be clear about how to use that allotted time productively. Needless to say, having presented myself at the ascribed time and place for my allotted three-hour stint in the FIT archives (and navigating the standard security procedures and waiver forms), I positively motored through my note-taking and the time disappeared in a flash. There is something comfortingly ritualistic about the choreographed, set, performance of the visiting researcher making their ‘pilgrimage’ to an archive. The metaphor of ritual can be taken further. On arrival, the requested artefacts have been ‘called’ from storage and are placed, with due reverence, ready for consultation. There is, for me at least, an aura around these items, each packed with care, each recorded with precision, each considered special. And the items I perused yesterday were indeed special, comprising Elizabeth Hawes’s draft manuscripts (including an unpublished work on the future of moulded clothing), press cuttings, tear sheets and notes. The whole of it was thoroughly absorbing as I endeavoured to make sense of Liz’s, now familiar, muddlesome, style of prose and to navigate a logical path through the sheaf of papers set before me. However, the thing that bowled me over most was seeing Liz’s own handwriting for the first time, and there was enormous amounts of it to see (and decipher). Her draft manuscripts were littered with marginalia, annotations and edits, some in thick red crayon, most in prosaic blue ballpoint: her personal trace writ large. And, as you might guess, her hand was as artistic and as bold as the women herself. *Arriving early for my research appointment, I also managed to take in the ‘A Queer History of Fashion’ exhibition at the Museum at FIT, co-curated by Fred Dennis and Valerie Steele. The items on display were of extraordinary quality and it’s hard to pick out some highlights. Given my 1930s focus, perhaps special mention should be given to the selection of Marlene Dietrich pieces, that included a tuxedo worn in ‘Morocco’ (1930). Although, in complete contrast, I also loved the quirky concept of the newspaper dress by Geoffrey Beene from 1989. I’m delighted to report that I’ve been getting stuck in to some work in the archives. This always makes me feel a) happy b) as though I’m achieving something, and c) as if I am a ‘real’ researcher. I find the orderliness, the solitude, the purposefulness, the seriousness of archives pleasing. And the strict use of graphite pencils transports me back to school days. I’ve spent the last few days trawling The New Yorker magazine archives, every issue of which has been digitised from 1925 to the present. Needless to say, this task is not for the myopic: my eyes were boggled by the end of a long afternoon slaving over a hot database. Having cast my research net deep and wide I am close to having a fit-to-bursting suite of folders and sub-folders on every (and any) reference to Hawes in this magazine from the last seventy-five years or so. Of course, the real labour is involved in making sense of these references and their historical meaning and significance (if any). Working with the original sources in the archives does, however, at least begin to engage the brain in this regard. One of the many little gems that I have unearthed is an advertisement for Cusenier liqueurs carried in a November issue from 1934. 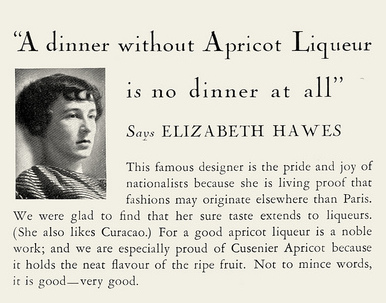 Featuring a photograph and quotation from, none other than, our-very-own Liz, this appears to be a remarkable piece of celebrity endorsement (the same ad also features the feisty contemporary actress, Ilka Chase). I was aware already that Hawes was sometimes ‘accused’ of a fondness for self-promotion but this was an unqualified criticism that I had assumed referred to the aggressive marketing of her self-authored books and also the media storm generated around her first fashion show in Paris. It seems, however, that by 1934, Hawes had become a conduit for the selling of products beyond fashion design. This thread is a charming ‘discovery’ but what sense might be made of it (if any)? My labour continues. My first week in the United States ended with the ‘Exhibitions, Teaching, Research’ symposium, part of the BGC’s twentieth anniversary programme of events. The structure of the day had been carefully crafted to reflect the specialisms that have come to define the Bard: museum practice, research in the decorative arts and research-informed teaching. The line-up of speakers was impressive (to say the very least), bringing together some key thinkers and practitioners from North America and Europe. Stanford, Columbia, the Art Institute of Chicago, MoMA and the Rijksmuseum were just some of the auspicious seats of learning represented on the programme. The speakers all were engaging, prepossessing, charismatic and provided not only high level commentary on current scholarly debates but also a masterclass in the art of oration. They each delivered beautiful, thoughtful and inspirational rhetoric on their chosen subject. Director of Collections at the Rijksmuseum, Taco Dibbits, talked about the refurbishment – rebuilding, even – of this museum and the ‘playful simplicity’ that informed its rebranding. Appealing to my graphical instincts, he described the Institution’s ambition for its national collection to be (literally) on every Dutch breakfast table with its printed milk carton project. What a clever idea. And Harriet Zuckerman, Vice President of the Andrew W Mellon Foundation, gave a perfectly pitched, rousing, defence of ‘basic research’ that questioned the trend for metrics as a signifier of quality, the scramble towards ‘applied research’ and a favouring of the sciences over humanities in grant capture terms. I couldn’t help but map her observations onto – or rather, against – the ‘impact agenda’ back home in England. Continuing the theme, I felt that the quote of the day came from Joachim Nettelbeck from the Institute for Advanced Study, Berlin. As a professional administrator (of great repute), he explained how the purpose of research in the Humanities may often, unfairly, be dismissed. He suggested that, for some, its relevance to the real world and its application may not be immediately obvious or easily defined. To illustrate this point he ventured ‘what use is research?’ answering his own question with the razor-sharp riposte ‘what use is a newborn baby?’ Couldn’t have put it better myself. I am both an ardent and determined pedestrian. And living in New York hasn’t altered this one jot. 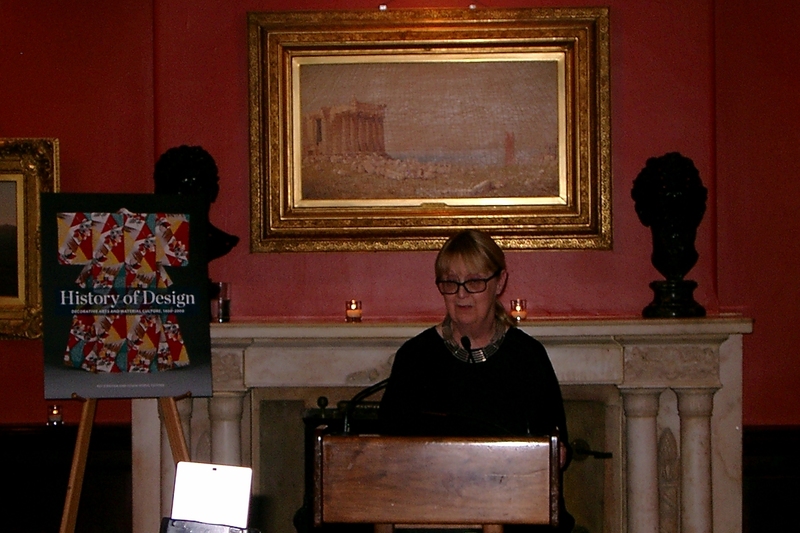 Last evening, channelling all my inner Walter Benjamin, I set off on foot to the launch of Pat Kirkham’s (formerly of De Montfort and now at BGC) latest work of genius, History of Design: Decorative Arts and Material Culture, 1400-2000 (Yale University Press). My journey downtown to The Century Association, a private literary club founded in 1892, was itself something of an event. I hit Fifth Avenue at rush hour and as dusk fell, which made for a heady and intoxicating combination. The air was filled with NYPD whistles, honking yellow cabs, the aroma from pretzel sellers, all of it wrapped up in an artificial glow from the lights of those shimmering ‘cathedrals of consumption’: Bergdorf Goodman, Saks, Barneys, Trump Tower, Rockefeller Center, etc, etc. My destination, The Century Association, was restrained by comparison and positively creaked with the weight of erudition and learning. And the book that was being launched was also weighty. Almost 700 pages in length, spanning some six centuries and being global in scope, it represents an ambitious project. The editors (Kirkham and Weber) likened its writing to ‘eating an elephant’ and claimed that it was ten years in the making. As you’d expect from a book on the subject of design, it has high production values and is pitched at an undergraduate audience as a survey text replete with colour-coded sections and bite-sized passages. My own experience of teaching introductory classes on the history of design is limited but I am assured that this textbook has been much anticipated and fulfils a great need, being heralded as a landmark publication to rival Janson. Worth the walk? Most definitely.